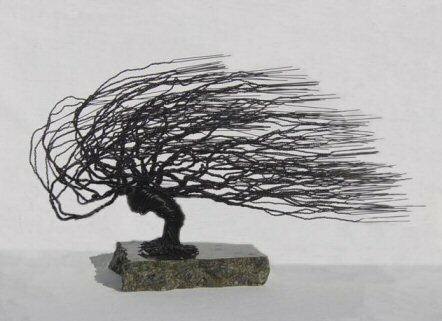 Made of 22 gauge black steel wire. The sculpture is created using 22 gauge wire for a finer texture. The sculpture is mounted onto the base using a bonding agent. The base is a thick, mined, polished granite stone with small circular felt pads glued beneath. Black wire color, 5 lbs.